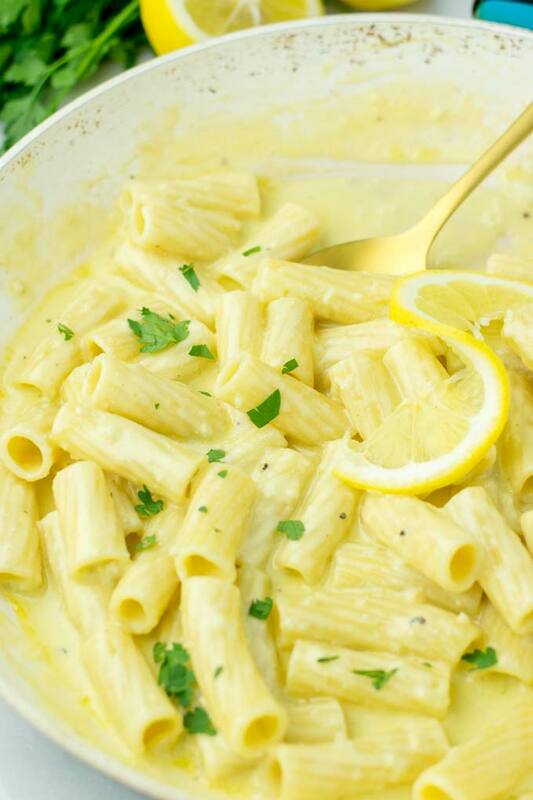 This Lemon Pasta Sauce is super easy to make for all your comfort food cravings and an amazing find to easy recipes when in need for more pasta sauces. No one would ever guess it is entirely vegan, naturally gluten free and made for easy meals in under 10 minutes. With this new recipe you get so many options. All are delicious easy family dinner ideas that even picky kids will love. This will become everyone’s family favorite in no time once you’ve tried it. I’m always in for an amazing sauce over pasta. You’ve might seen my excitement before with this Spicy Tahini Pasta Sauce or the Avocado Pesto Pasta Sauce. Both are must make pasta recipes. Trust me no one would ever think it is vegan pasta. So everyone will come on board with these, kids friendly, both are ready in 5 minutes on the table. If you’re looking for more sauce recipes look no further and use the search bar to get more ides and inspirations. 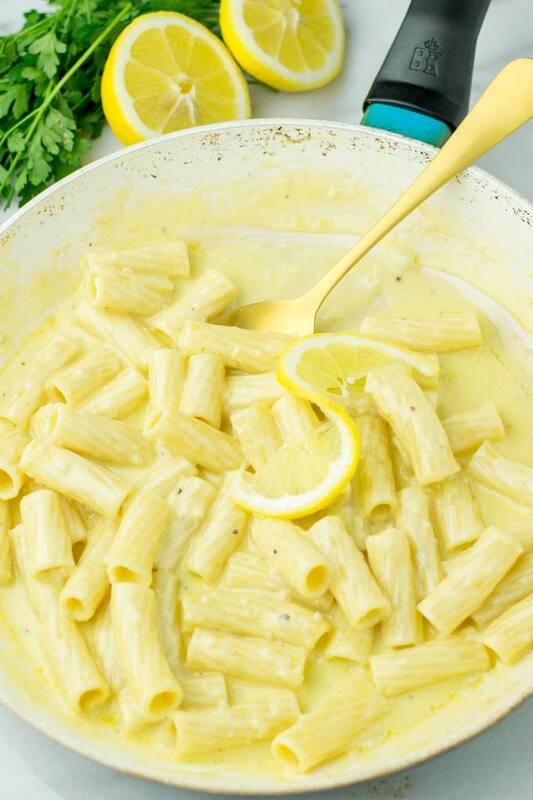 This lemon pasta sauce is no exception. 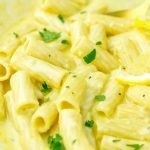 It is creamy, satisfying, light, lemony, garlicky, comforting, super easy, versatile, packed with bold flavors. It makes seriously the best pasta in no time and is truly a must make for all easy pasta recipes. 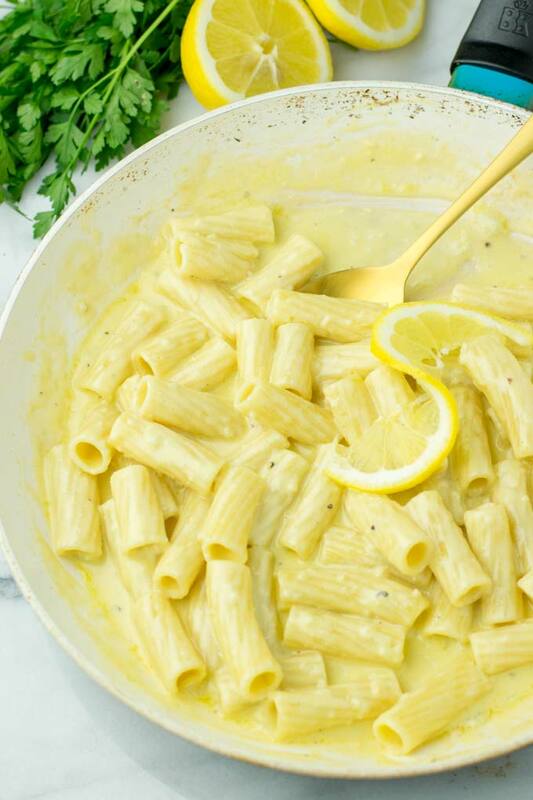 That is all you need for this lemon pasta sauce. No fancy or complicated ingredients or steps as always – you can count on me. First heat a pan or pot with the vegan butter and olive oil. Add minced garlic and fry for around 2 minutes. Now mix in as much as you like of the prepared vegan Parmesan cheese. This will depend on your preferences – you can use all or use half of it. In that case reserve the other half for pasta toppings. Finally add the cashew milk and lemon juice. Season with salt and pepper, cook for 5 minutes more. Serve over pasta and enjoy. Note: Any plant milk will work. Soy, almond, or oat milk. I’ve tried them all but find out cashew milk gives the best results. This recipe makes such an amazing dinner, lunch, meal prep to eat during the week and for easy lunch ideas that you can gladly bring to work. If you prefer a thicker sauce, try mixing 1 tsp of cornstarch with 2 tsp of water. Add to the sauce. you can go from there and add more. Looking for more variety? I guess the sauce will be really delicious with caramelized onions. Just add 1 cup of onions to the garlic and fry for around 5 minutes. 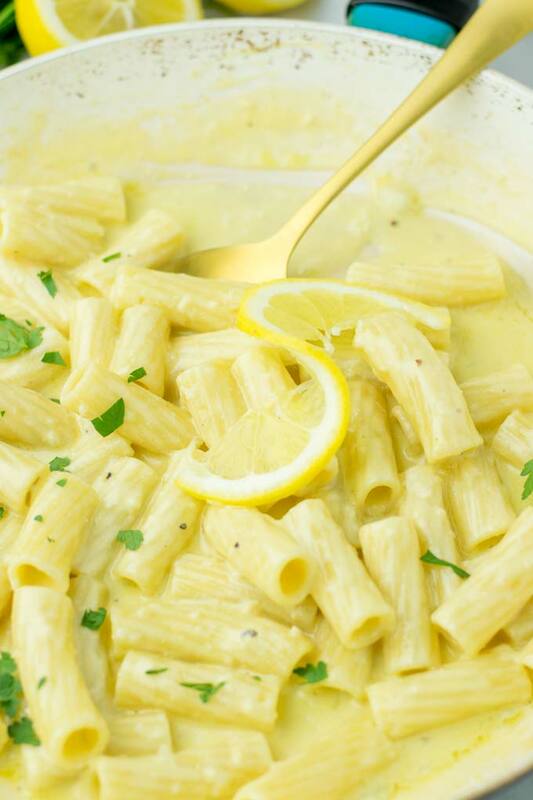 Before vegan days, my favorite always was a lemon butter sauce and you can do this easily. Instead of cashew milk add coconut cream which leads to a more rich and buttery texture. Also you can add capers to make a lemon caper butter sauce. Excited for summer? Who isn’t! 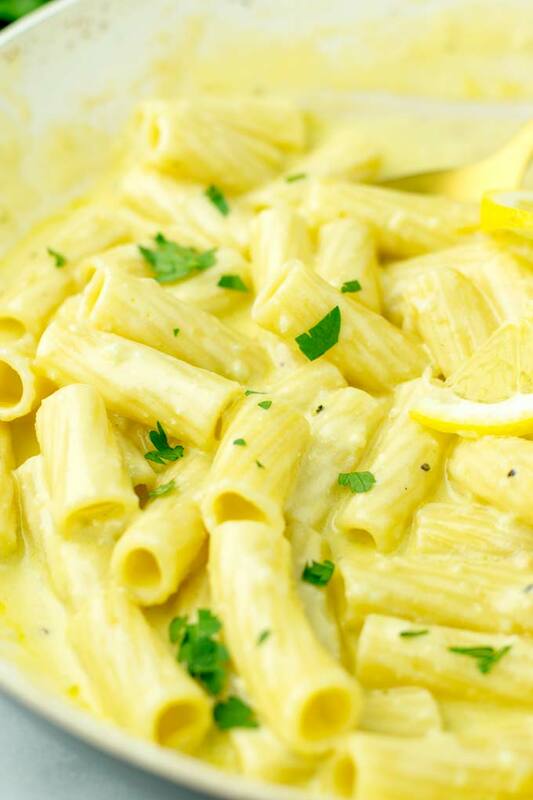 Add 2 tsp lemon zest for a more tangy flavor and you have the most amazing summer dinner ideas. This way you have to check out how to peel a lemon. 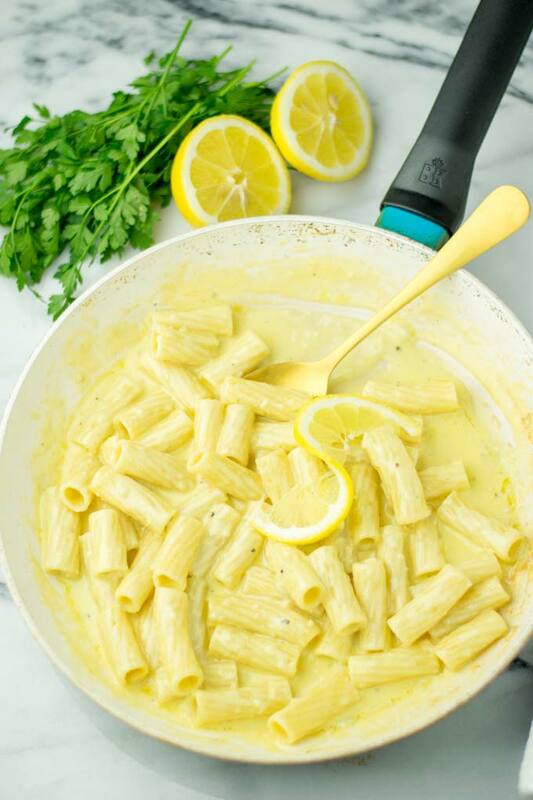 If you give this Lemon Pasta Sauce a try, I love seeing all your remakes on Instagram or Facebook. Heat a pan or pot with the vegan butter and olive oil. Add minced garlic and fry for around 2 minutes. Now mix in as much as you like of the prepared vegan Parmesan cheese. This will depend on your preferences – you can use all or use half of it. In that case reserve the other half for pasta toppings.